The Porter Adventist Hospital has notified patients who have undergone orthopedic or spine surgery, between July 21, 2016, and February 20, 2018, that they may have been exposed to contaminated surgical equipment. The notification letters sent to patients explained the higher risk of infection due to insufficient sterilization, as well as the possible exposure to HIV, hepatitis B, and hepatitis C.
It appears that the compromise of sterilization on the surgical tools was due to the process in which the tools were cleaned and sanitized. 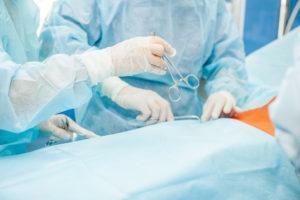 In one case, a surgeon found a piece of a bone fragment from an earlier surgery, on an instrument that was about to be used on the current procedure. This is just one example in the string of recent issues the hospital has had with its cleaning and sterilization process of surgical equipment. Porter Adventist suspended all surgeries on April 5 and 6, after the revelations of compromised surgical equipment came out days before. The hospital acknowledged that the issue stemmed from the cleaning of equipment and possibly from quality of the water that was being used during the process. On February 22nd, the Colorado Department of Public Health and Environment visited the hospital to conduct a survey on the sterilization practices, after learning there was a possible contamination issue. The survey concluded that the hospital had issues with the sterilization of surgical equipment dating back to July 21, 2016. The Colorado Department of Health and Environment is working in conjunction with the Porter Adventist Hospital to communicate with all patients who may have been affected. At this time, it is not known to what extent the risk of contamination may be. If you or someone you know has had surgery at the Porter Adventist Hospital, and you have questions please feel free to contact the personal injury experts at McDivitt Law Firm. You can reach us 24 hours a day, 7 days a week at 303-I-Am-Hurt.